1. National Fertilizers Ltd is a 10 rupee face value Fertilizer company. Research Terms Means like Year High/Low, Base price etc. 3. Promoters of National Fertilizers Ltd hold 89.71 %FII hold nil % and DII hold 5.99%. Promoters holding is sound . NFL is a PSU company so Govt. of India is promoter of this company. 5. Base price of National Fertilizers Ltd is 34.58 So Current market is near about 18% below the base price. 6. No any bonus issue right issue and bulk deals is recorded in last 2 year. 7. National Fertilizers Ltd net sale per share of Fy 14-15 is 173.77 net sale per share is very sound so this stock have chance to become a multi bagger. 8. Book value of National Fertilizers Ltd is 30.19 CMP is also lower then book value so in book value concept this stock is a value buy. 10. 200 DMA of National Fertilizers Ltd is 28.16 so National fertilizers ltd also give a positive breakout above 200 DMA and I think traders will also get a position in this stock and long term ivestor may buy this stock till price of 35 after that hold it for decent gains. 11. This is my second recommendation in NFL, New readers please must read my earlier article about NFL which I publish on 2009 and recommended to buy NFL @36 plus also recommended to shift nagarjuna fertilizers to NFL and after this article my readers get 313% profit in National fertilizer stock and book his profit @149 at 2010. Nagarjuna fertilizer is currently merge with Nagarjuna oil refinary which traded @ 4 only. 11. My recent updates :- Buy SAIL @ 4511. Disclaimer:- This is not an advisory service to buy or sell. The contents of “this research report” are only for educational purposes. No liability is accepted for any content in “this research report”. 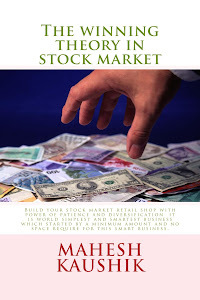 The author is neither a registered stockbroker nor a registered advisor and does not give investment advice. His comments are an expression of opinion only and should not be construed in any manner whatsoever as recommendations to buy or sell a stock, option, future, bond, commodity, index or any other financial instrument at any time.The author recommends that you consult with a qualified investment advisor, one licensed by appropriate regulatory agencies in your legal jurisdiction, before making any investment decisions. Please read full disclaimer at the bottom of my blog. 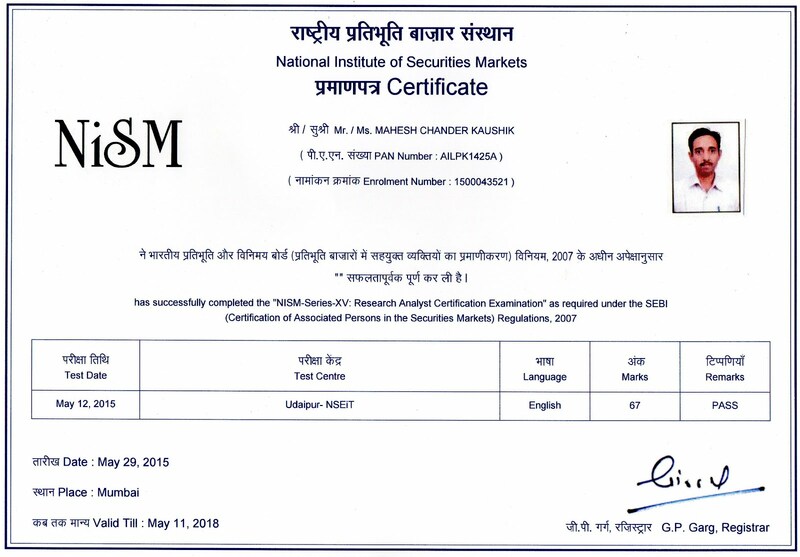 Discloser:- I Mahesh Chander Kaushik author of this research report is an existing research analyst and passed NISM certification for research analysts. I am also registered under SEBI(RESEARCH ANALYSTS) REGULATIONS, 2014 ( SEBI Registration Number INH 100000908 ) hereby disclose about my financial interest in the subject company and the nature of such financial interest:- 1 Me and my associates or relatives have not hold any share of National Fertilizers Ltd so my personal interest is not included in this stock. 2. Me and my associates or relatives have not any actual/beneficial ownership of one percent or more securities of the subject company ( National Fertilizers Ltd). 3. Me and my associates or relatives have not any other material conflict of interest at the time of publication of the research report. 4. Me and my associates or relatives have not received any type of compensation from the subject company(National Fertilizers Ltd) in the past twelve months. 5. I am not served as an officer, director or employee of the subject company ( National Fertilizers Ltd). 6. I have been not engaged in market making activity for the subject company (National Fertilizers Ltd).